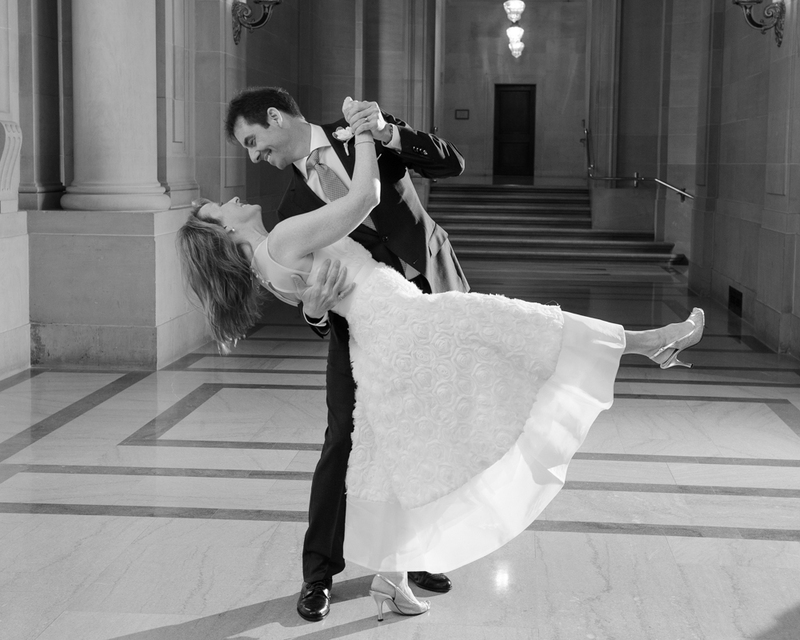 This couple was one among our first 10 San Francisco city hall weddings and was really one of our best to that point. 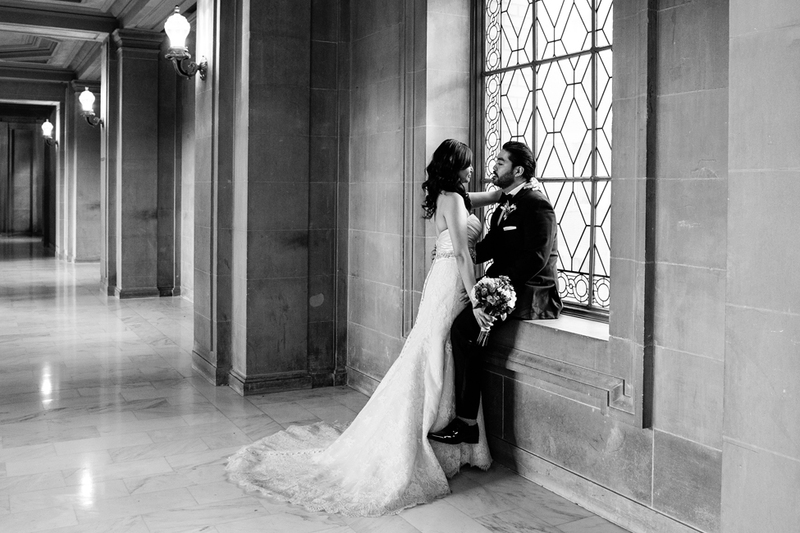 We were just starting to learn some of the secrets to finding the best spots at city hall and what time of the day to shoot at particular locations. Tracey especially was up for anything and wanted to try lots of new poses and ideas. We did extreme dip poses, Window shots and some new Grand Staircase ideas. A bonus for this wedding is that Tracy submitted some of our shots to the J. Crew catolog and got our wedding featured on that publication for a few years. 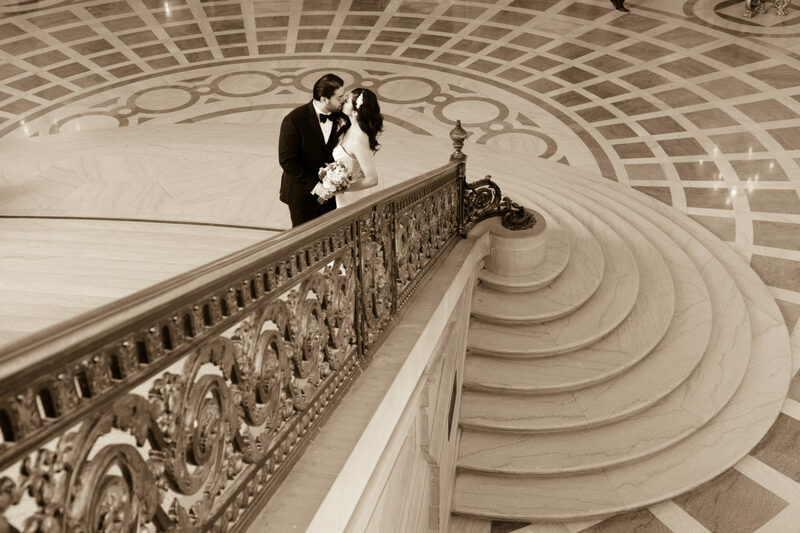 Here are a few shots from this great wedding. 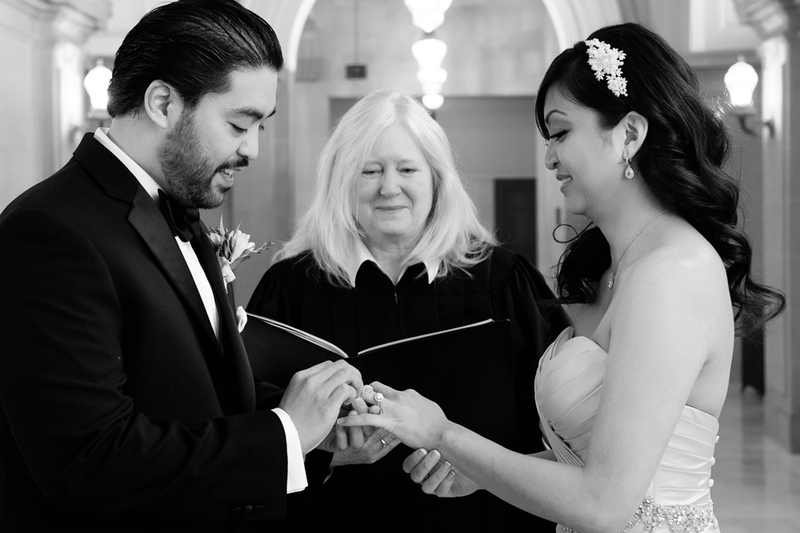 This wedding was one of our first marriages where the couple asked us to provide them with extensive yet affordable wedding photography coverage that also included taking pictures at their Reception. 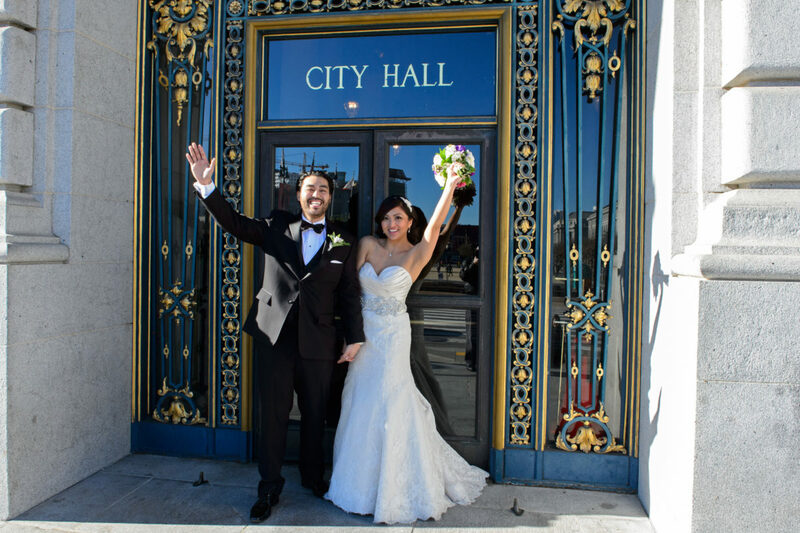 We provided April and Michael with a special package that included full city hall wedding coverage and 3 locations around San Francisco. 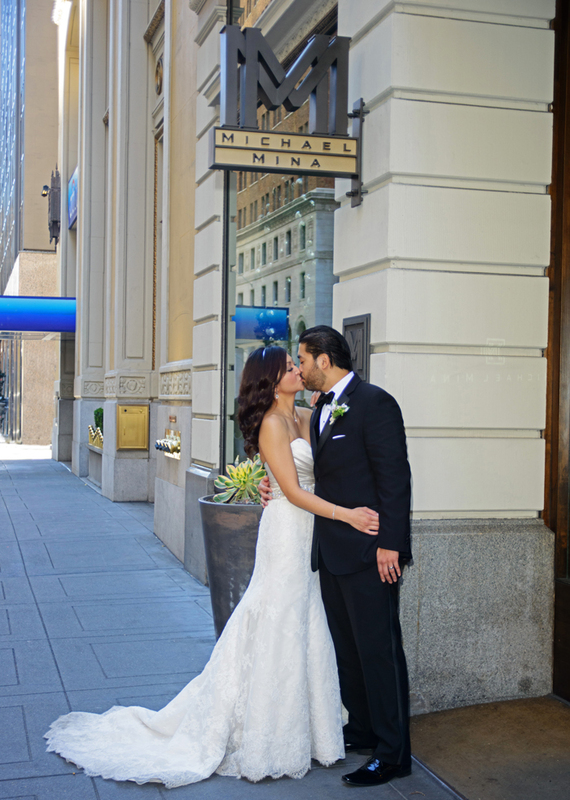 We finished up in Downtown SF at their reception site. 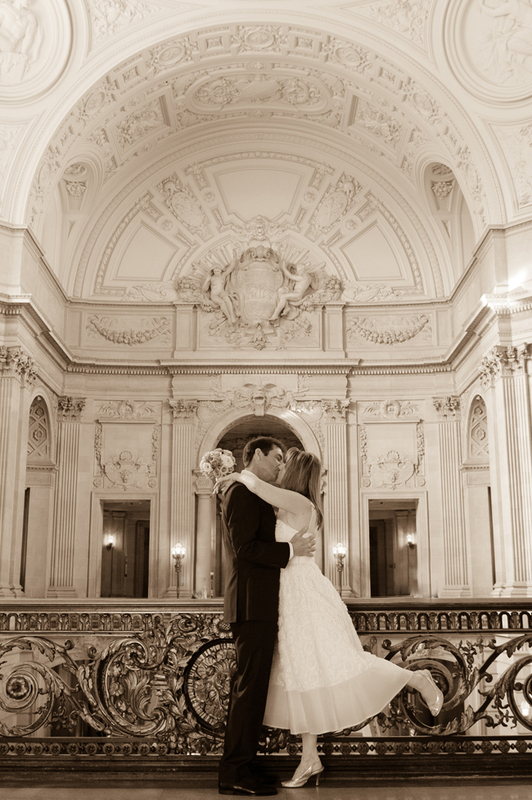 Throughout this extensive wedding photography tour they were always a delight to work with and so much fun.